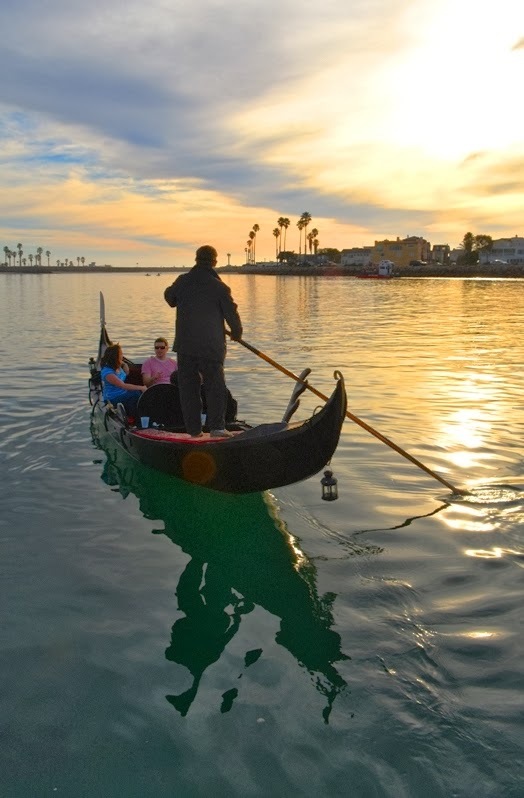 Moving Teresa was a big job but it went smoothly and Teresa is at home in the Channel Island Harbor. 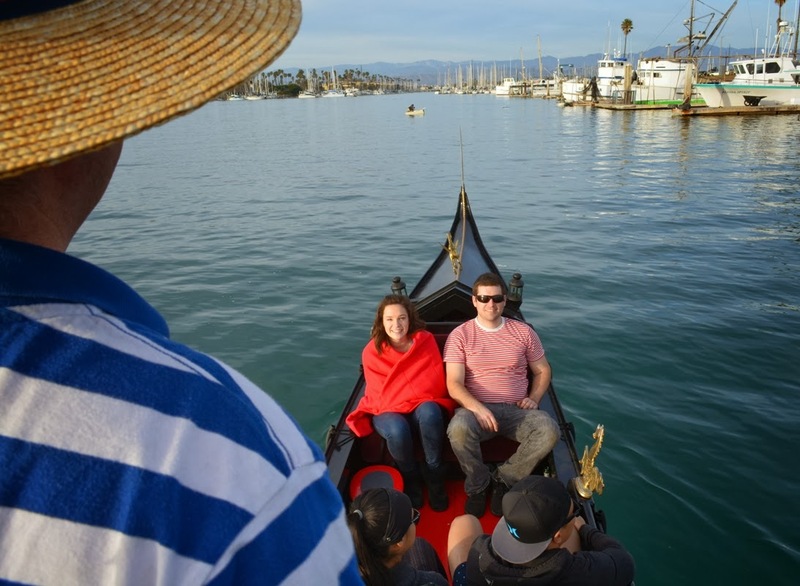 Take a look at part 3 of GondolaGreg’s blog about getting Teresa in the harbor…. 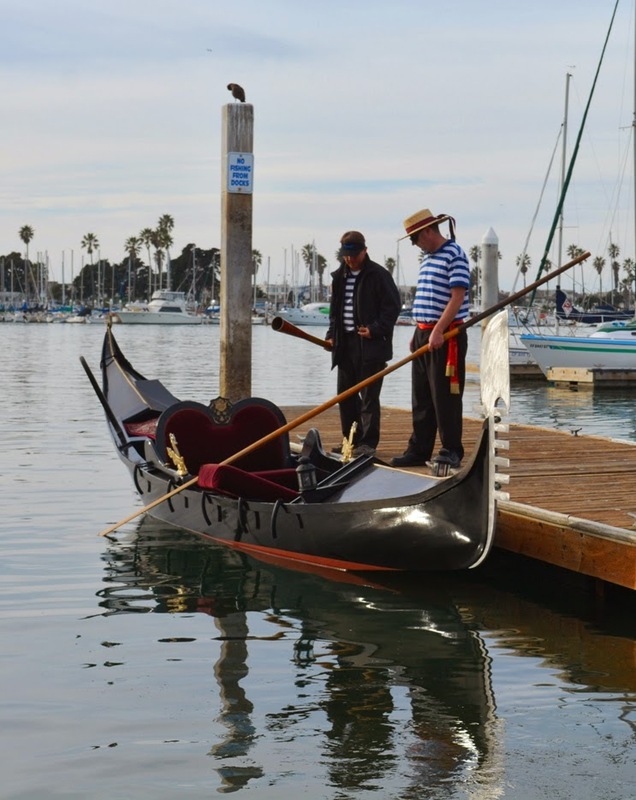 After all the loading, strapping, and driving, we arrived in Oxnard. 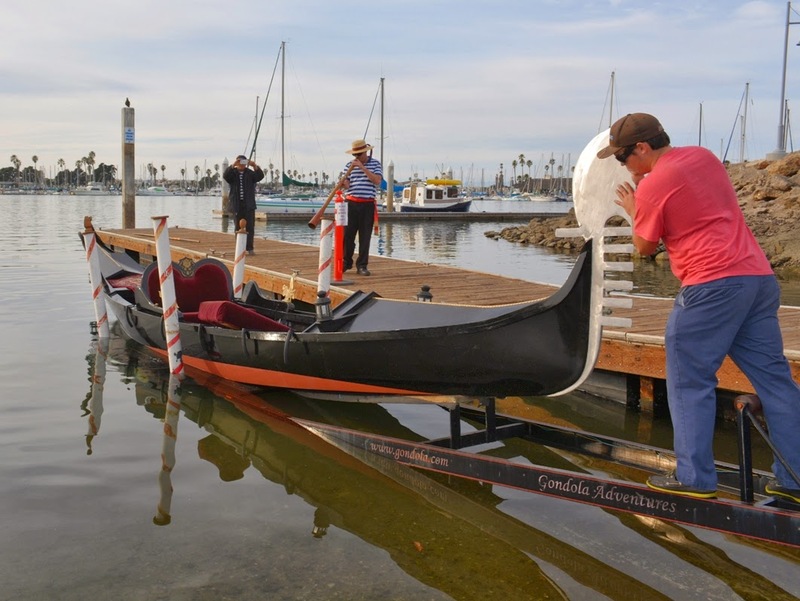 The various removable pieces were set in place and the Teresa was ready to grace the waters of Channel Islands Harbor. 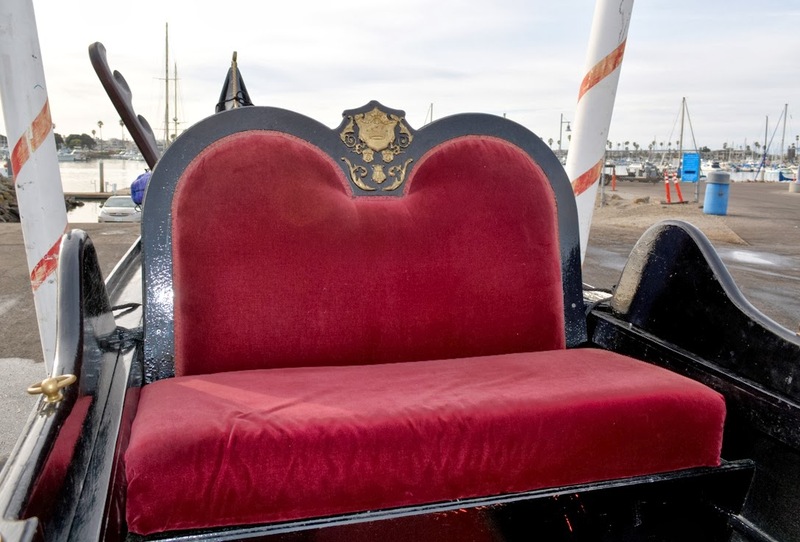 Red velvet seats, lots of fresh black paint, she’s ready to splash! but we do things a little differently here, and we like it that way – and besides, it sounded really great. 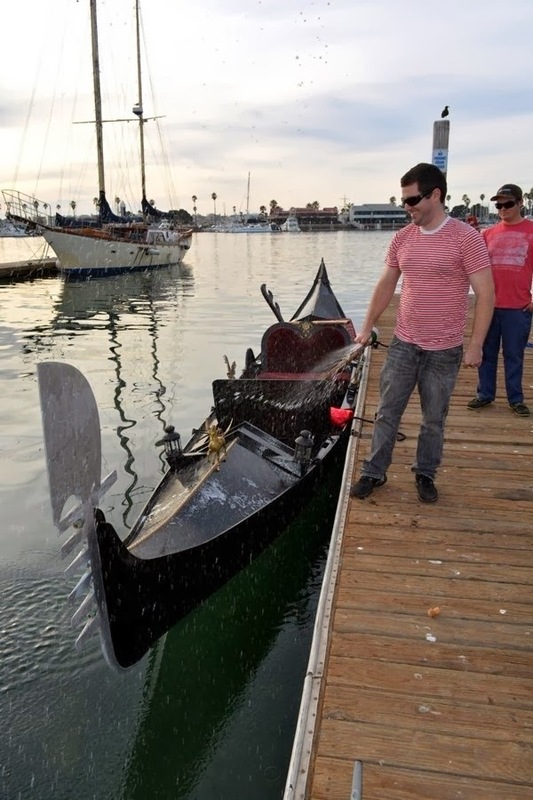 Before we knew it, there was another gondola in the water in Southern California. We all took a moment to admire her once again. 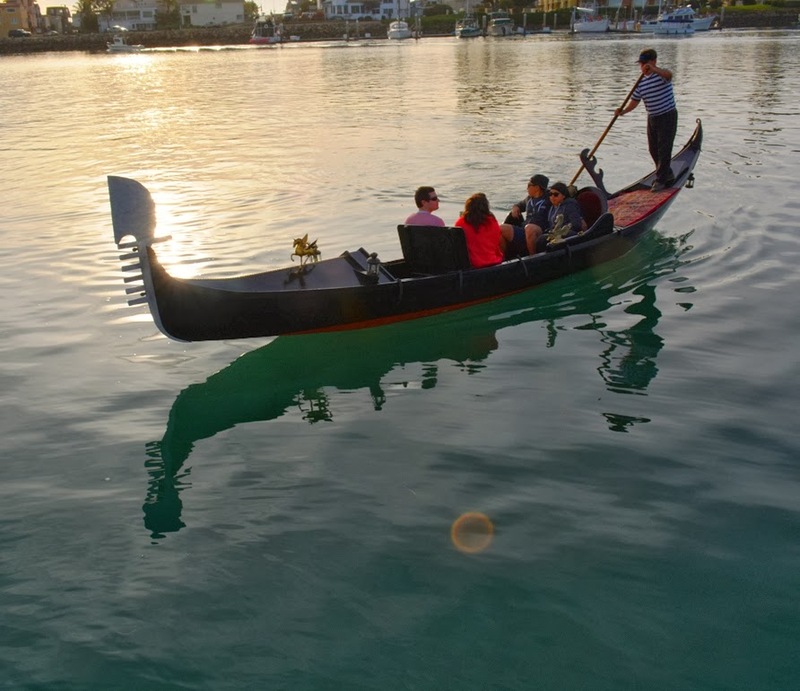 Sure, we’d seen this boat plenty already, but while a gondola may look great out of the water, she was made to be admired afloat. 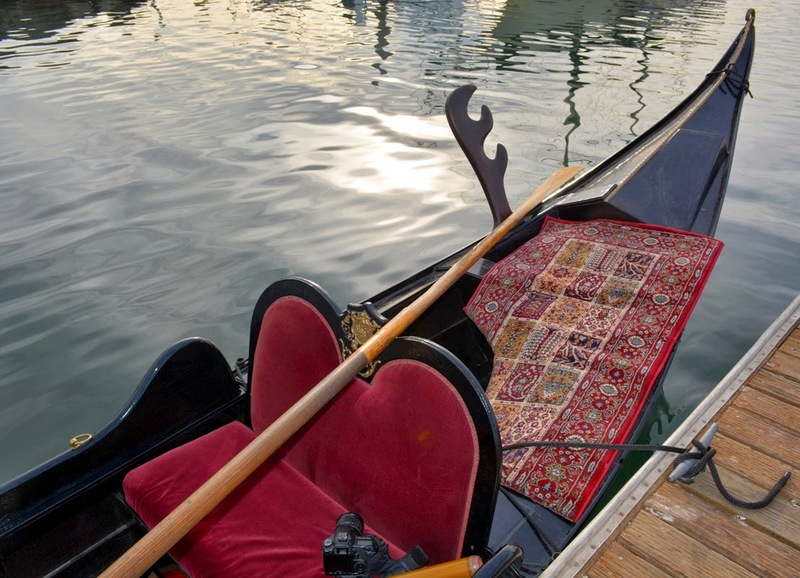 As you can see, the design of Teresa is unique – in several ways she is unlike any other gondola. 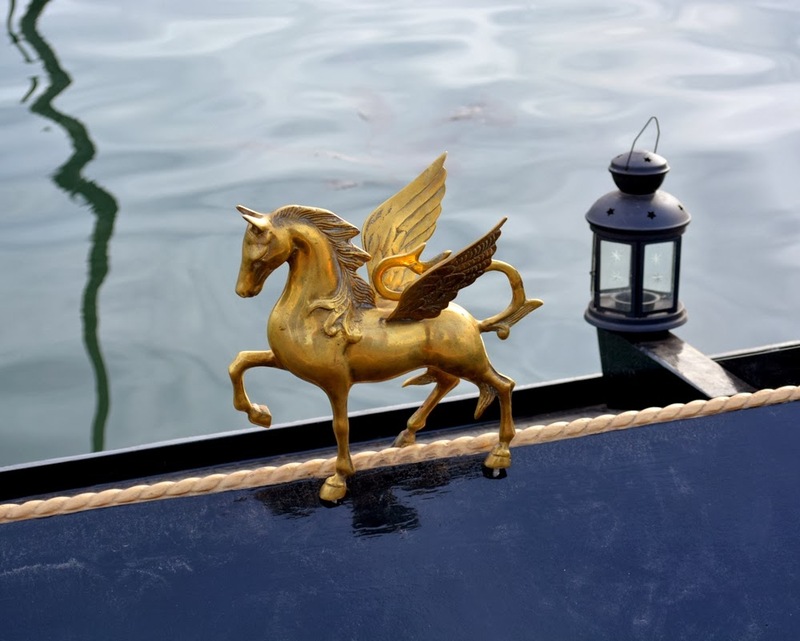 An eye-catching detail, added moments after the gondola splashed into the water, was this dramatic brass bowpiece – suitable for Alex Hai’s gondola in Venice, known as “Pegasus”. 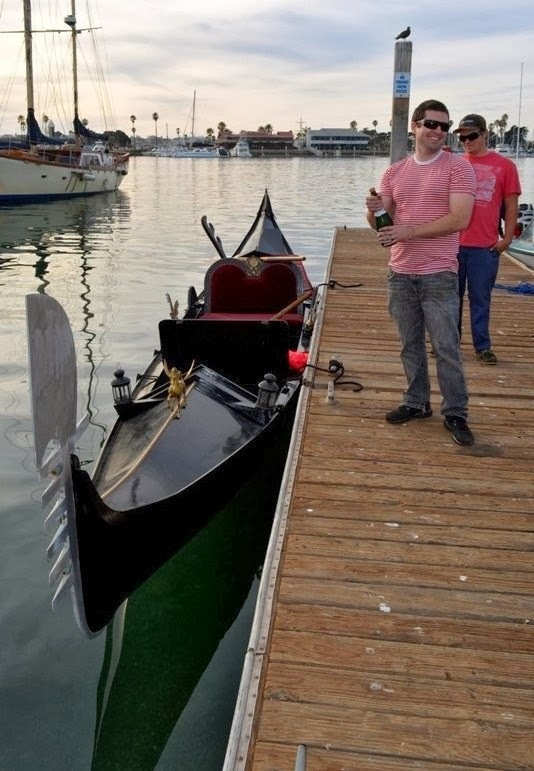 Of course we don’t break bottles over our precious boats in the gondola world; spraying is the way to go for us. 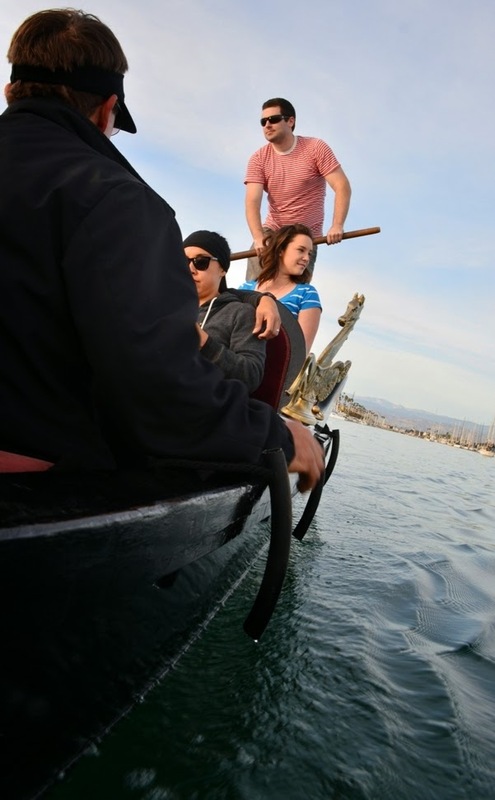 Next, we all took turns taking her out for a spin – here’s Chris at the helm. Finally Mark stepped on the back and took over, here’s an over-the-shoulder shot. 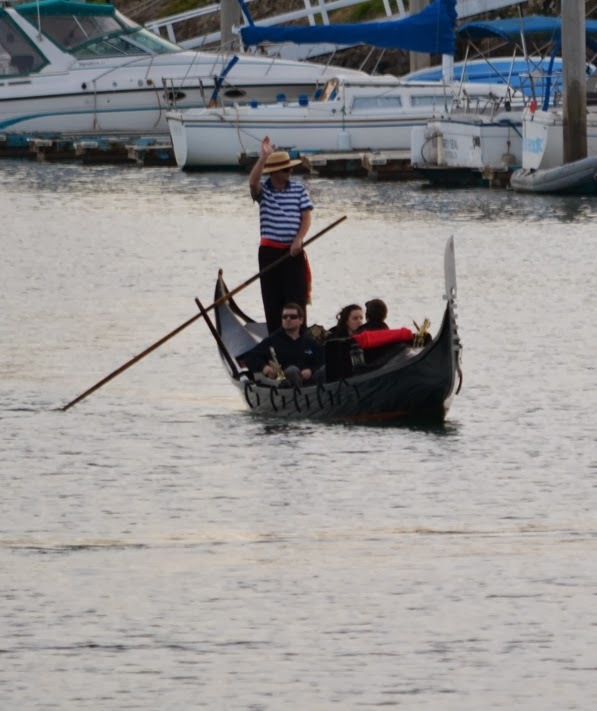 If I do say so myself, he looks great on the back of that boat.